Colorful, crazy, eclectic...these are just a few words that come to mind when the subject of Nicki Minaj's hair comes up. 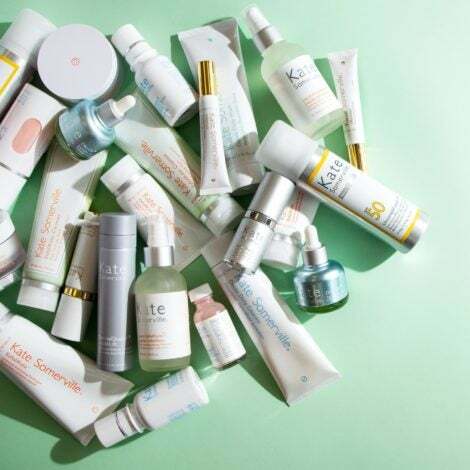 We've seen a bevy of wild -- and sometimes wacky -- 'dos on the starlet, but these days, she's drastically toned down her look. She's been front row at Fashion Week showing off her new look and will also be celebrating the release of her new fragrance, Minajesty, in stores this week. 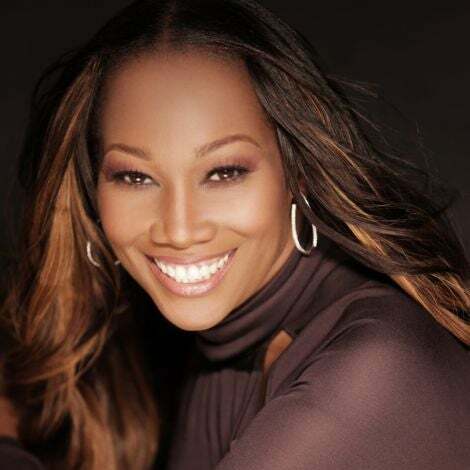 Take a walk down memory lane and see how the star's style has evolved over the years. 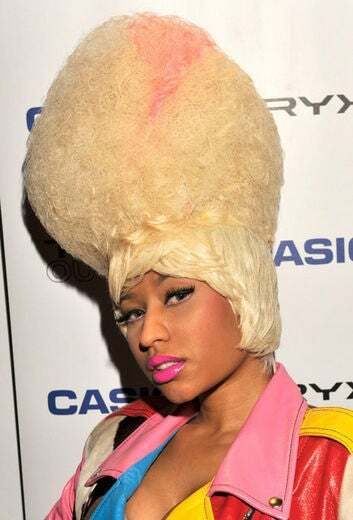 Minaj took a different angle to her hairstyle when she arrived at the VH1’s Diva Salute the Troops show wearing a triangle-shaped ’fro. All eyes were on Minaj when she arrived at Lincoln Center for Spring 2012 New York Fashion Week wearing a curly, blue bushel paired with striped bangs. Minaj was a sight to see at the 2010 MTV Video Music Awards where she arrived wearing a bright pink bob wig. At the 2010 American Music Awards, Minaj flaunted a dramatically angled platinum blonde wig, complete with super lush bangs and emerald green tips. Only Minaj could pull off this topsy-turvy, pink, yellow, and blonde updo that she wore at the 2011 MTV Video Music Awards. 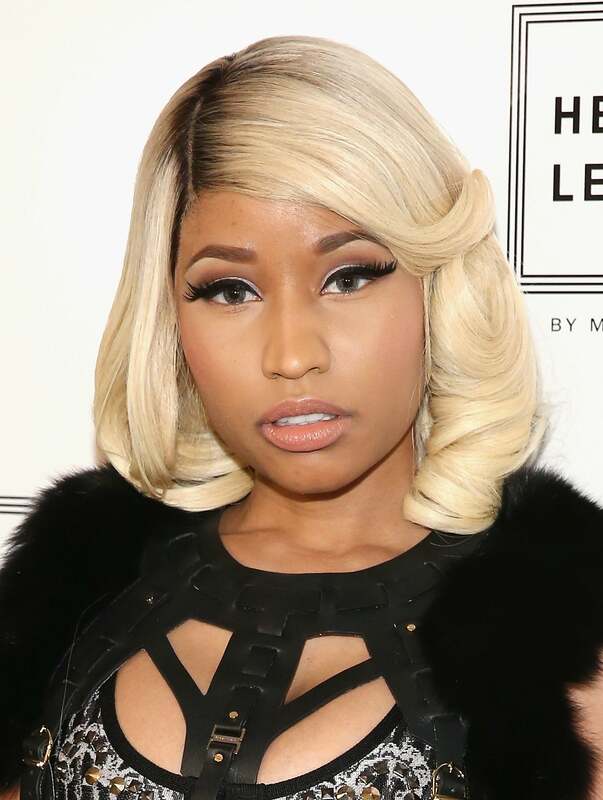 At a Casio Camera Launch Party, Minaj’s wore a platinum blonde fluffy stack of curls with layered sides. Minaj was feeling a little blue in this bold sapphire and blonde wig at the 2011 American Music Awards Nominees Press Conference. Minaj wore Rapunzel-length blonde waves on the red carpet of Billboard’s Sixth Annual Women in Music event. A curly, pastel pink bob was a natural fit for the Pink Friday star when she attended the 2011 American Music Awards. Minaj attended the Lil’ Wayne album release party in a long platinum blonde wig with neon yellow and pink spiral curls. When Minaj took the stage for a performance on Good Morning America, all eyes were on her curly mass of bright blonde coils. 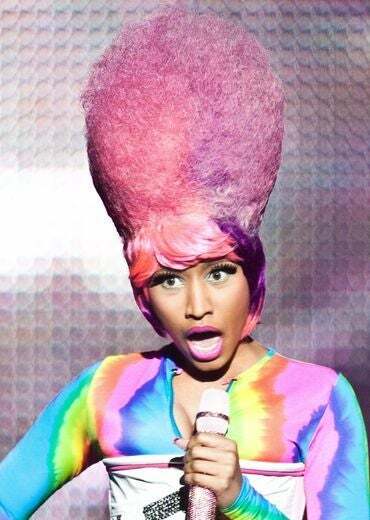 Minaj rocked a bevy of wild-and-crazy wigs during the “I Am Music II” Tour with Lil’ Wayne, including this sky-high, cotton candy like ’do. At the Lil’ Wayne Welcome Home Party, Minaj flashed her pearly whites while wearing a turquoise green wig with lush, layered bangs. 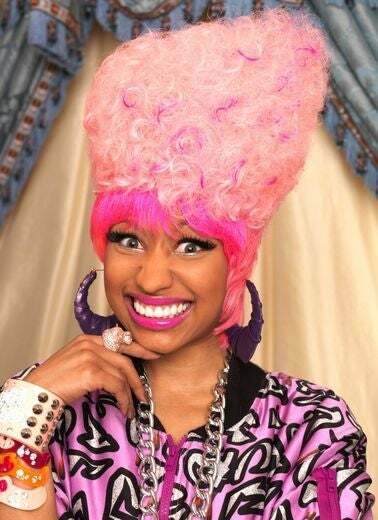 Minaj posed for a portrait session to promote her debut album Pink Friday wearing a lopsided, mile-high curly wig with neon pink bangs and sideburns. This might be one of Minaj’s most daring styles to date. 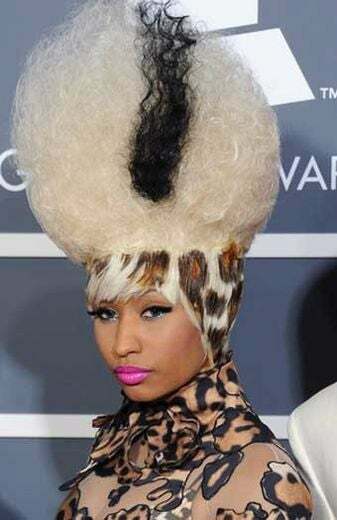 At the Grammy Awards, everyone stared in disbelief at Nicki’s Bride of Frankenstien wig with touches of animal print. Minaj arrived at the 2012 MTV Video Music Awards wearing shockingly bright yellow curls with cotton candy pink highlights. Minaj arrived at the Elvis Duran Z100 Morning Show wearing shoulder-length rippling waves with a chic side part. At a New Year's Eve Party at PURE Nightclub, the over-the-top MC left her colorful hair at home, choosing instead a platinum blonde wig with bold bangs and chunky curls. Minaj has been loving her platinum blonde hair lately and sported these bone straight strands with natural roots at the American Idol 2013 finale. At the 2013 Billboard Music Awards, Mianj walked the red carpet in a voluminous halo of fluffy, platinum blonde ringlets. Minaj switched up her look with a shoulder-length retro-inspired 'do at Mercedes-Benz Fashion Week Spring 2014 in New York City.